Protect your website with DMCA and other Notices with Easy-to-edit and Customizable Templates in word and more formats. Like other branches of business, the world of Information Technology is comprised of several types of business and legal documents. This includes significant documents such as policies, agreements, notices, and checklists. With the purpose of guiding end users on given matters that they must be aware of, it is important for IT professionals and companies to secure these documents as soon as possible. However, these types of documents can be quite similar and redundant, especially in terms of corporate compliance. With that in mind, we strive to bring you an Efficient yet Effective alternative in the form of our Formally Drafted business templates! Best Templates is home to a diverse collection of Professional and Industry-Grade templates made specially to suit any occasion, brand, and business. We have an outstanding library of around 500,000+ design and business templates as well as legal documents to cater to your every need. 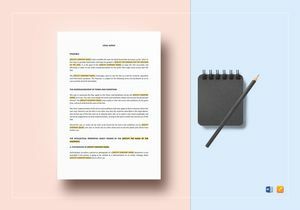 These aren’t your ordinary business templates, these are Professionally-Drafted, Well-Researched, and Industry-Compliant templates that are Formatted according to the recommended style sheets. 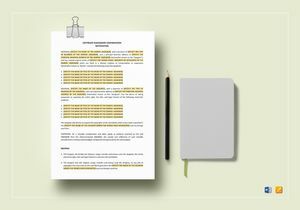 Our business and legal documents are drafted by our skilled team of technical writers who work from hours on end to produce Exceptional Quality templates with informative yet relevant content. Each template is Styled and Formatted with proper outlines to suit personal and business requirements accordingly. Through our Ready-Made templates, you can create a systematic flow for your workload, refine business-centered documents, and boost work productivity for a remarkable overall performance! This will help you deliver projects faster to satisfy the needs of clients, investors, and company executives. Industry-compliant Documents - We are known for making high-quality templates that suit market standards accordingly. With that being said, there is an average of 1600+ templates from our vast library that are revisited regularly to meet the constantly evolving business and corporate compliance laws. We are committed to adding, updating, and expanding our existing library to give you a wide variety of templates to work with. 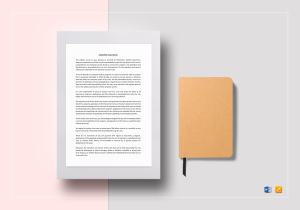 Fully Editable Content - We style and format our templates with suggested titles and text placeholders to give you the opportunity to add, edit, and replace any given content as per requirement. It’s simple and easy to do as well! This gives you a favorable experience for quick and easy modification. 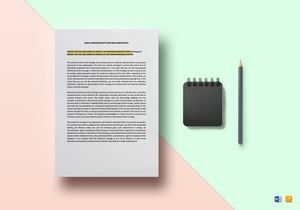 Pre-formatted and Print-ready - You don’t have to worry about proper spacing and indention any longer! Not only are our templates industry-compliant, but they are also formatted to meet pre-printing standards for your utmost convenience! Accessible and Affordable - Our templates are obtainable in iPages and Word file formats for easy accessibility in the software application available in your personal devices. We offer over a thousand documents at the lowest possible price as well! Whenever you need to produce website notices and checklists, remember to keep our business templates in mind! You can browse through our library to find Readily Available templates that you may acquire instantly through our High-Speed Downloads Anywhere, Anytime! Improve your business process with our one-of-a-kind templates today!